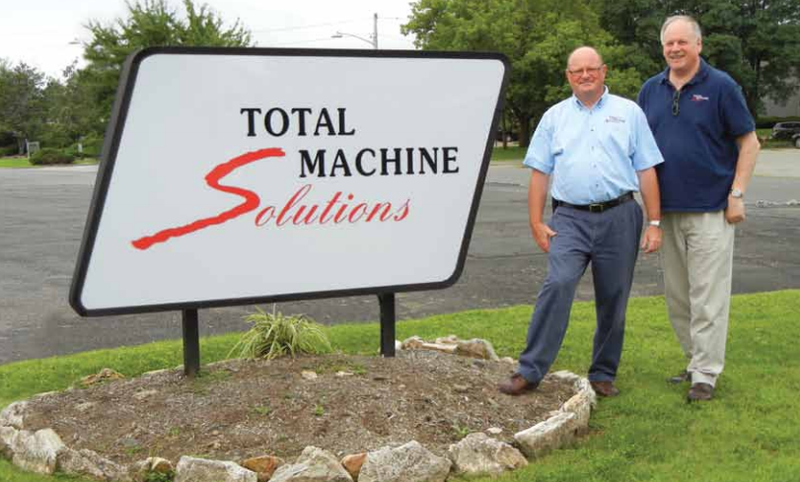 Total Machine Solutions strives to be the ideal partner to meet your process manufacturing and electrical/mechanical power transmission equipment and service needs. At TMS, we always put customer commitment first. TMS takes great pride in its long history of meeting customer needs while exceeding customer expectations. 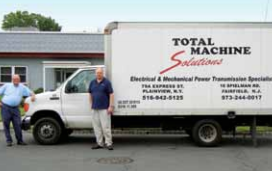 Marvin Goldman and Kevin Orlofski, both power transmission specialists with over 60 years of combined experience have created the ideal single source distribution company to meet the needs of local manufacturers. 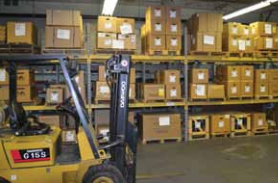 Our two fully stocked warehouses and expert staff enable us to provide you with a variety of parts, service and maintenance options. Our quick response time helps you minimize downtime and increase productivity, helping you to balance your immediate needs with your long term goals. At TMS we always put customer commitment first – and back this up with our inside and outside sales professionals that go beyond order taking. Our outside sales specialists work on site at your location to diagnose and solve problems and coordinate with our inside experts for all of your power transmission equipment needs. Working as a team, our sales staff gets to know your business and processes so they can recommend practical, cost effective solutions. With our extensive inventory of parts along with repair and machine shop services and plant maintenance solutions, TMS is the complete source for all your electrical and mechanical power transmission needs. Our experienced and knowledgeable staff has been solving power transmission equipment problems for over 15 years. With two conveniently located warehouses we can provide same day delivery for in-stock items. Our success is measured by the success of our customers. We are committed to helping your business and offer personalized and consultative expertise to meet your most challenging maintenance issues. Our ongoing commitment to customer satisfaction has earned us a top-notch reputation in the industry and we would welcome the opportunity to work with you to keep your business running. In the mid-1990s, Marvin Goldman and Kevin Orlofski, both power transmission specialists with over 40 years of combined experience, recognized the need of New York-area manufacturing firms for a single-source distributor of industrial equipment. Such a distributor would have to feature an extensive inventory of motors, bearings, reducers, conveyor components, variable speed drives, and more. In addition, such a distributor would need to offer its customers reasonable prices, quick delivery, and access to a knowledgeable sales staff. In order to fill this need, Marvin and Kevin founded Total Machine Solutions in 1996. At the time of the company's establishment, TMS was headquartered in the basement of Marvin's home. Quickly outgrowing this small space, TMS relocated to a facility in centrally located Long Island City, NY, where it resided for several years. During this time period, TMS also opened a branch office in Newark, NJ to better serve its growing customer base in New Jersey. By 2000, TMS had outgrown its Long Island City facility, due to its ever-growing inventory and customer base. Consequently, TMS relocated its main office to its present location in Plainview, Long Island, NY. Several years later, in 2003, the company relocated its Newark facility to an adjacent larger building to accomodate additional inventory. In 2004, the facility was moved once again, this time to nearby Parsippany. 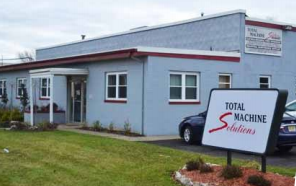 TMS ultimately settled in its Fairfield, NJ home in 2010, where the 12,000 square foot facility should be a suitable base for many years to come. Today, TMS employs fifteen people in its two locations, with total annual sales approaching $10 million. Despite TMS's continued growth, we have never lost sight of what we set out to do in the beginning -- creating the ideal, single-source distributor of industrial equipment for the New York Metro area. Our ongoing commitment to customer satisfaction has earned us a stellar reputation in the industry over the course of our relatively short existence. Give us a call today, and let us know what we can do to help you! No one works harder to get you the best value than TMS. Together with TMS, we have been able to develop custom engineered products that would not have been possible with other distributors. TMS stands out from the rest because they have qualified employees to assist with any questions that might arise. The TMS staff is willing to discuss engineering issues and help formulate solutions. TMS offers excellent service and delivers products when we need them, not tomorrow, not next week. They [TMS] help keep our downtime to a minimum with a warehouse full of inventory that we need.